. The necessary 'dream-pop', 'new wave' and 'post-punk' descriptors might not be enough on their own to get you excited about Melted Toys, but giving their debut a chance reveals a surprising range of influences in this young San Francisco band.
' by Fishmans. Near the middle of the song, a simple but beautiful melody from a bell-like synthesizer briefly appears and switches the song's mood from carefree to yearning. As well being able to create a laid-back vibe, what's impressive is Melted Toys' ability to give it depth and channel it into memorable moments. Thankfully, they're equally good at the faster-paced numbers, like 'Observations', 'Blush' and 'Always'. The sound-palette feels slightly more austere and the playing more utilitarian than on 'A Postcard', but it's no less compelling, making me think of the energetic new wave of The Wild Swans. The guitars glimmer in all the right places, and the vocals - courtesy of singer and guitarist Steven Harkins - provide a strangely appropriate counterpart. The practically inscrutable lyrics, combined with his reedy tone, make him sound, in my opinion, like a timid Japanese woman at times ('Joy Fit'), but he somehow fits the context very well; the more I listen, the more unexpected nuance I hear in his lilting melodies. 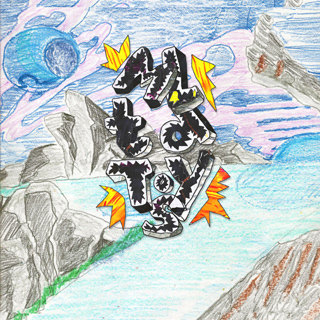 Melted Toys' debut shows that they have their eyes on more than simple beach lounging, and it's proven amazingly difficult to get this record's unassuming guitar-lines and vocal parts out of my head. Great review as always, David!